Messing about with statues, and whatever you do, don’t blink! 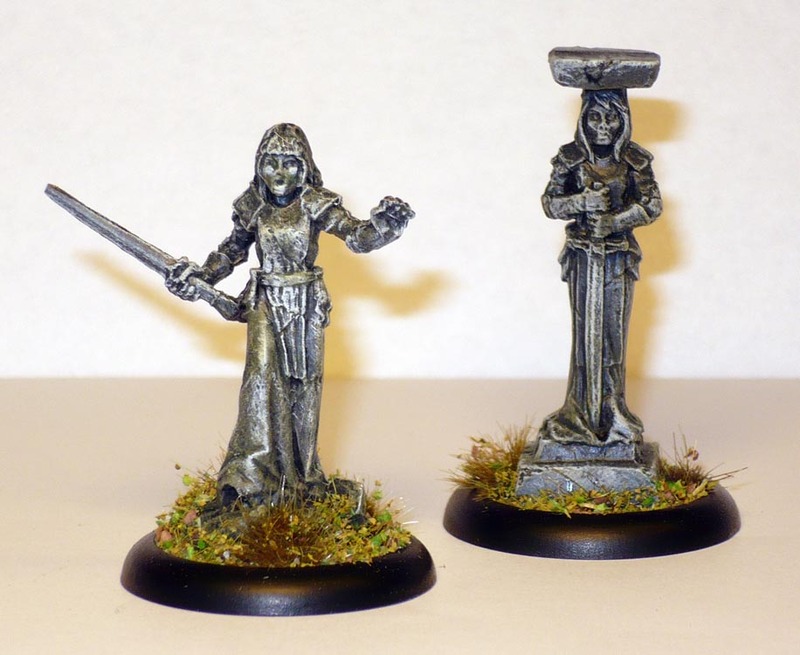 In the second Bones KS there were some models of statues. Living ones, that is. These are officially known as 92872 and 92859, Caryatid Columns. A Caryatid, according to Wikipedia, “is a sculpted female figure serving as an architectural support taking the place of a column or a pillar supporting an entablature on her head”. Play with miniatures! You get to learn new words every day. And of course, any statue can be given life by some mad wizard or wrathful divinity to harass a party of adventurers trying to get past. 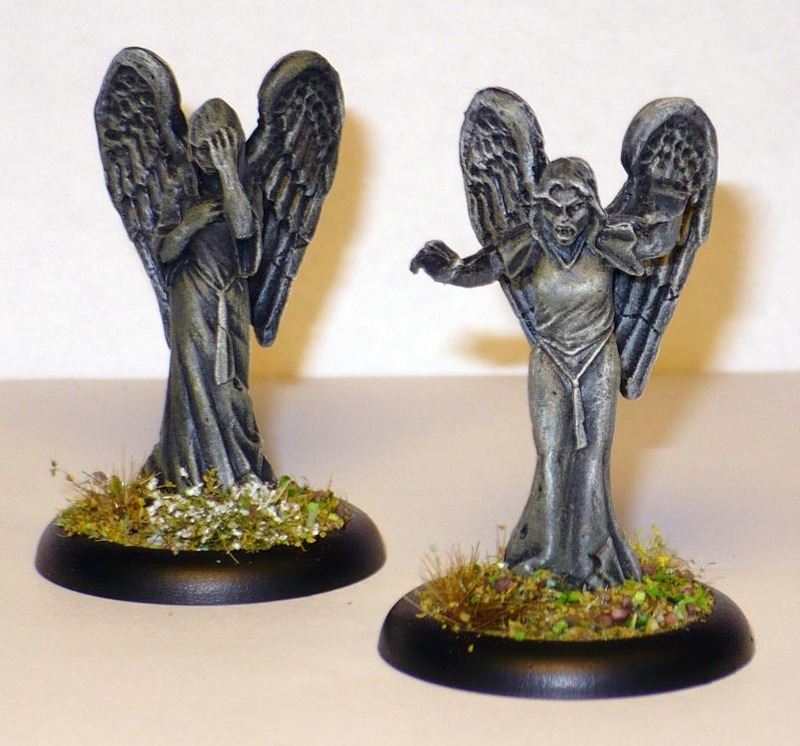 Or they can be ancient alien time-eating horrors, camouflaged as nice graveyard angels when you are looking at them. Remember you are perfectly safe as long as you just don’t blink! I painted the lot of these with black undercoat, then drybrushing with a dark grayish green, a light sandy brown, and at last an offwhite with an ever-so- slight green tinge. Fast and excellent! I find grey made by just black and white rapidly gets boring and less interesting. Using some colour really do enhance simple allover paint jobs like this. PreviousA Cosmic Horror, or: the smallest scaled model I have ever painted.